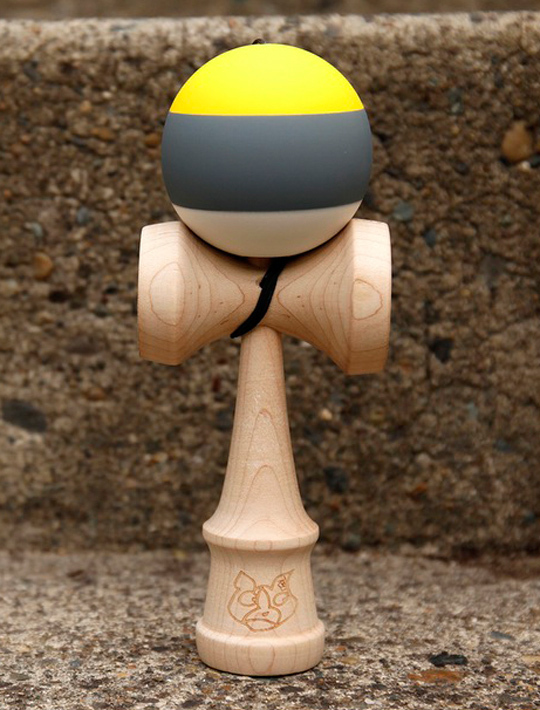 The Penguin is a FULL MAPLE kendama. It has a triple stripe with Yellow, Grey and White. It is the same classic rubbery paint. So you get that smooth feel with just the right amount of tack. These also include the new wider bevel. Comes with a DWI dama bag, an extra black string.